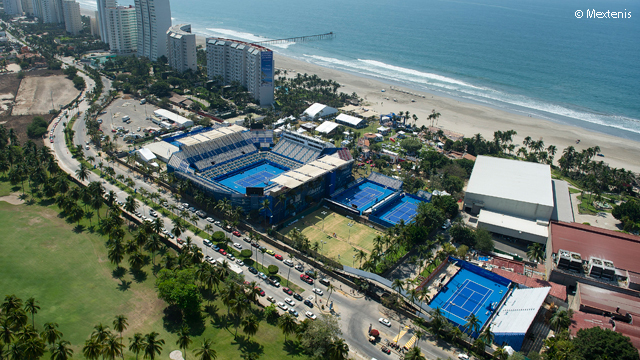 The main draw action kicked off with a bang yesterday at the Abierto Mexicano Telcel in Acapulco, Mexico. 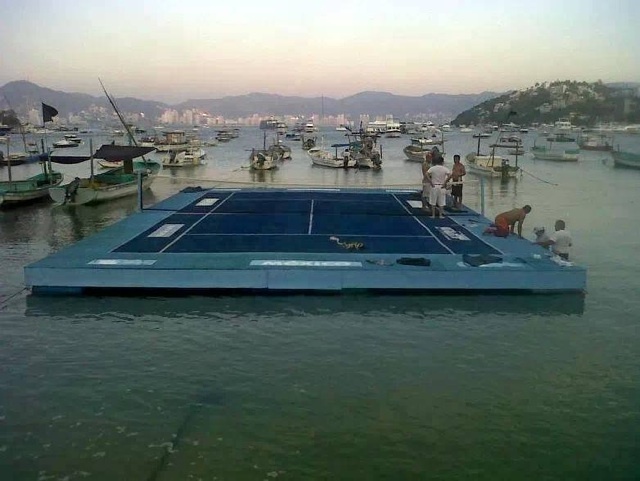 There were new, blue courts, a competitive draw, and even a match held on water! ATP Players such as John Isner, Andy Murray, and Grigor Dimitrov discuss the surface change in per-tournament interviews. They all agree that the player field is strong and they are excited to be apart of the inaugural hard court year. In the past, the tournament has been tied to the Golden Swing, a series of clay tournaments in South and Central America. Now they look to the future as the lead up event to Indian Wells. With the success of the transition so far, more top tier players should be expected in Mexico in the years to come! 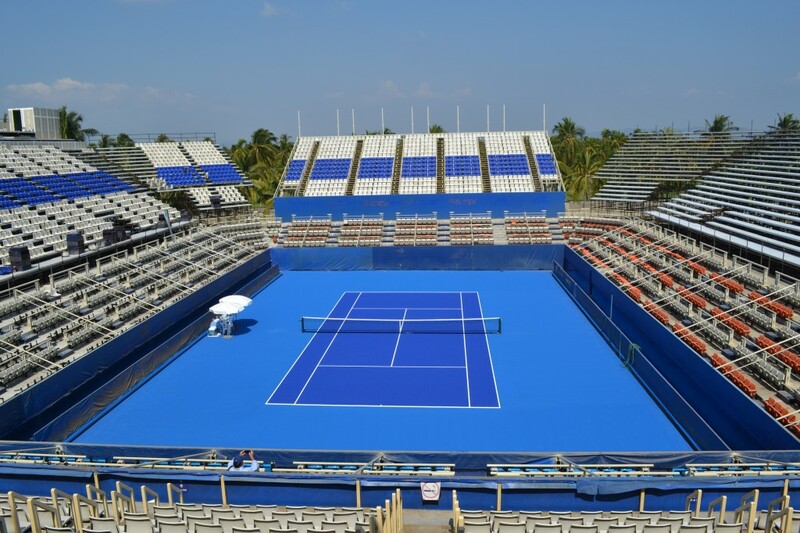 To learn more about the selection of Plexipave® at the Abierto Mexicano Telcel please read our surface change announcement here. This entry was posted in California Sports Surfaces, Plexipave® and tagged Acrylic Surface, California Sports Surfaces, Mexico Open IW, Mexico Open Surface, Mexico Open Surface Change, PlexiPave. Olympic Tennis Venues: Who Takes Gold?